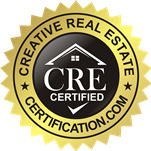 Many people think that you have to blow major money in order to get your home ready for sale. This, in fact, is very far from the truth. It’s easy and cheap to get your home ready to sell, for the most part. Of course, a lot will depend on your home’s current condition. However, for the sake of this article, we are talking about the standard home, not a neglected fixer-upper. Many times, a seller won’t need to do much at all other than touch up paint, or caulking. It is important to decide what changes you will make based on priority level. The priority level should be based off of what requests buyers usually ask for. Below are some fast, budget-friendly ways that you can make improvements when it comes to helping sell your home. Make sure that you do not spend so much time fixing up the interior that you forget the exterior. 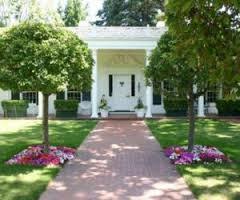 Curb appeal is one of the most important features of a home when it comes to selling it. If the outside looks bad, most buyers will refuse to even go look at it. Weed the flower beds, trim grass, rake the leaves away, throw o ut any loose trash on the lawn, and plant some new flowers. If the paint on your porch is chipping away, consider re-painting it. Trim any bushes outside, and add some pretty plants. If you have any time or money leftover, it’s not a bad idea to spruce up or purchase new patio furniture. Selling a home is often touted as difficult, but it really isn’t all that hard if you have a decent house, in a decent location. The problem is when sellers don’t do anything to showcase their house, other than put a “For Sale” sign in the front yard. Here are Ten More Tips to Sell Your Home. I agree with the article on considering “staging.” Houses almost always look better when furnished than when empty…they also look larger. If you are moving to another residence and plan to take your furnishings with you, if possible, arrange things so that you show the house before you move out of it. Very true. If you’re trying to sell your home, it needs to be staged. Interestingly, there are also furniture suppliers and companies that specialize in renting furniture to homeowners for the sole intent of “staging.” You rent the furniture until the house sells, and then you give it back! Pretty cool.